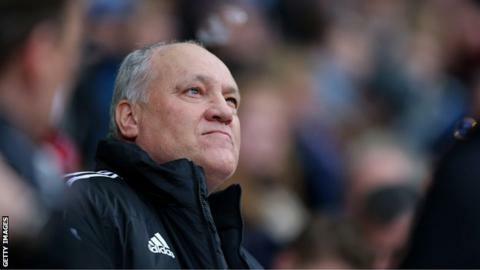 Former Tottenham and Fulham manager Martin Jol has been appointed as the new coach of Egyptian giants Al Ahly. The Dutchman replaces the Portuguese coach Jose Peseiro who left the club in January to take over at Porto. It means Cairo rivals Ahly and Zamalek both have new coaches with Alex McLeish set to take over in charge of the White Knights. Ahly are currently top of the table in Egypt above Zamalek, who are the reigning champions. As well the English clubs Tottenham and Fulham Jol has also had spells with German side Hamburg and Dutch club Ajax. The 60-year-old has been out of management since being sacked by Fulham in 2013.